Emily King has been flying at iFLY Basingstoke since she was 4 years old. Aged 7, Emily decided she wanted to be coached so she could achieve IBA pro-flyer status and enter competitions. Emily had spent a lot of time flying with Zac Nicholas and the two of them had developed a great rapport and an extensive language of hand signals to communicate inside the tunnel. So, when it came to selecting a coach the choice was simple, it had to be Zac. 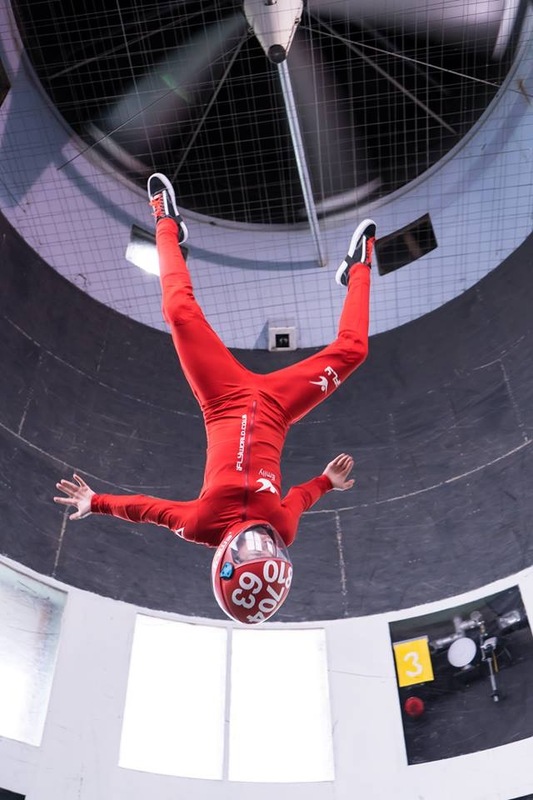 Fast forward 3 years; Emily has competed at iFLY Basingstoke, two IBA Global Kids Challenges, UK Nationals 2018, Wind Games 2019 in Spain and last weekend at the UK Nationals 2019 at Twinwoods Adventure. Emily’s early coaching focussed on the Freestyle and Freestyle to Music disciplines with Zac working hard on both technical competency for the compulsory elements and developing artistic routines to showcase Emily’s best tunnel skills.“Head-down was tough” said Emily. “I started in 2017 but I just didn’t have the core strength to hold the position”. To overcome this Zac changed Emily’s training regime to focus on low-speed flying while working with her parents on a program of ‘in-tunnel’ and ‘out-of-tunnel’ training to help Emily build her strength and stamina. This included acrobatics, ballet and distance cycling which not only developed the necessary muscles but also improved Emily’s artistic presentation. “Early in 2018 I was ready to nail head-down, I’d been to watch the Wind Games and knew I wanted to compete in 2019”. Zac built a training plan for Emily that would get her to the standard required for the Wind Games. Emily flew regularly every Friday with longer sessions during the school holidays. After just 24 hours of tunnel time since she was 4, Emily was ready for her first major international competition. Returning from Spain after a tough week of training and competing it was then time to look ahead to the UK Nationals. Emily was already registered to fly freestyle but with just 5 weeks to go Zac decided it would be ‘fun’ to try and enter as a 2-way dynamic (2WD) team – the first adult / child team to enter. Emily had never flown 2WD so in under a month Zac taught Emily all the lines and the rules of the competition. iFLY Basingstoke was represented by seven instructors and Emily. All in matching suits, they competed in 4-way dynamic, 2-way dynamic and freestyle. There was a fantastic team spirit and the day was a huge success with the 4WD team of Zac Nicholas, Izzie Squire, Harry Soan and Lewis Butcher getting onto the podium for Bronze. Emily and Zac, as team ‘Basingstoke E-Z’ came 8th out of 10 for 2WD – a great performance and they’ve committed to getting on the podium next year!